FOX News Channel (FNC) has signed nationally syndicated radio talk show personality Mark Levin as host of Life, Liberty & Levin, a new weekend primetime program debuting February 25, 2018, announced Suzanne Scott, president of programming. 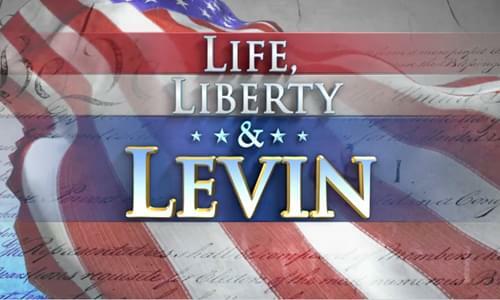 Airing each Sunday at 10PM/ET, Life, Liberty & Levin will explore the fundamental values and principles undergirding American society, culture, politics, and current events, and their relevance to the nation’s future and everyday lives of citizens. The hour-long program will feature Levin’s lively in-depth and long-form interviews and powerful debate style with consequential guests covering history, philosophy, and economics. Levin will also capitalize on his extraordinary knowledge and compelling perspective as a constitutional lawyer to discuss the American founding, the Declaration of Independence, and the Constitution. Levin also hosts the third largest nationally syndicated radio program in America, The Mark Levin Show, which airs on over 300 stations across the country and satellite radio, and is heard by millions of listeners every week, as well as LevinTV, an online television program broadcast on CRTV. Previously, Levin served as an adviser to several members of President Ronald Reagan’s cabinet. He was Chief of Staff to then-Attorney General Edwin Meese and held other positions including Associate Director of Presidential Personnel, Deputy Solicitor of the U.S. Department of Interior, and Deputy Assistant Secretary of the U.S. Department of Education. He is the recipient of numerous awards including the American Conservative Union’s Ronald Reagan Award, the Media Research Center’s William F. Buckley Award for Media Excellence, and the Gene Burns Memorial Award for Freedom of Speech. Additionally, Levin is a seven-time New York Times bestselling author, which includes his latest book, Rediscovering Americanism: And the Tyranny of Progressivism.